A compact controller and receiver. Small enough to fasten on to an adapted toy or other battery device, and connected using the cable supplied. It can then be paired with an it-Switch to give wireless operation. Give your battery toys the freedom to roam! 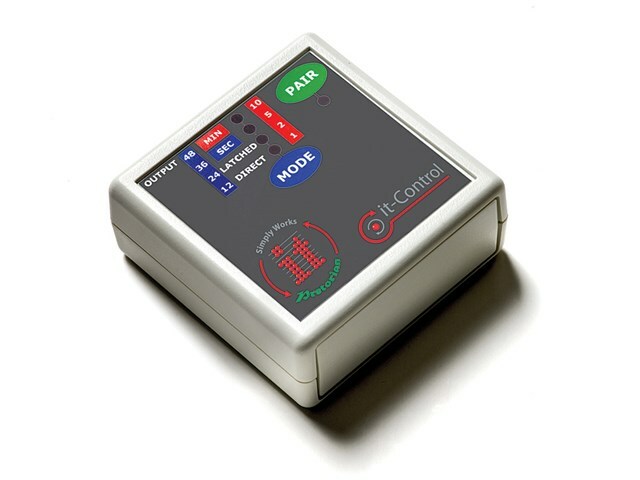 This single channel wireless toy controller and timer supports direct, latched, timed seconds and timed minutes modes. 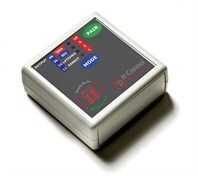 The duration in timed modes can be selected using LEDs. Small and lightweight to allow it to be connected to a toy (you could use our Hook and Loop fasteners). Universal 3.5mm output jack for connection to any battery operated, switch adapted toy (cable supplied). Can be paired up to an it-Switch. Use it with your own switches using one of the wireless it-Send interfaces. Measures just 60mm x 60mm x 20mm. 2 x AAA batteries included. It’s easy to get started with this great value bundle. Buy the it-Switch and it-Control for only £109.